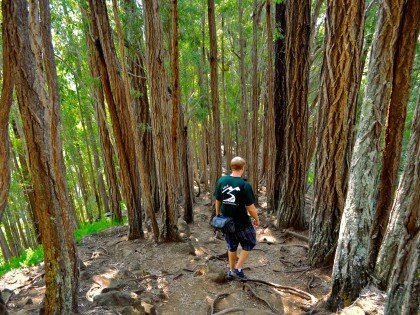 A relatively short but fun hike, Manoa Falls is the second most popular trail on O’ahu. 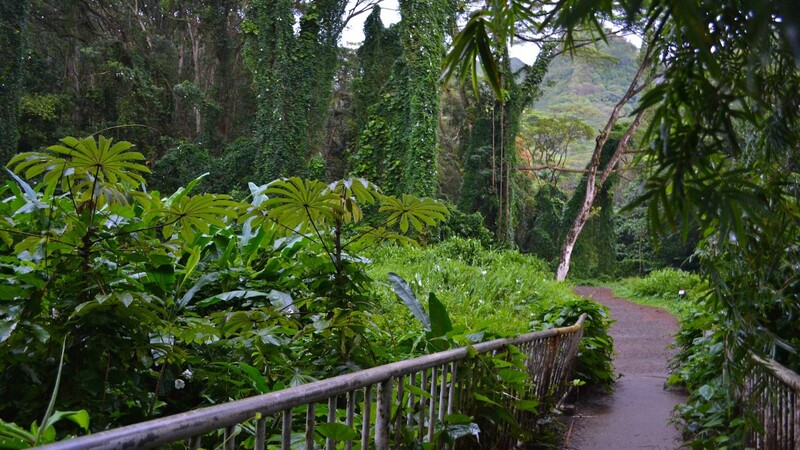 The hike begins in the lush rainforest of Manoa Valley, which has been the backdrop for many movies and TV shows, including Hawaii’s popular TV series LOST. 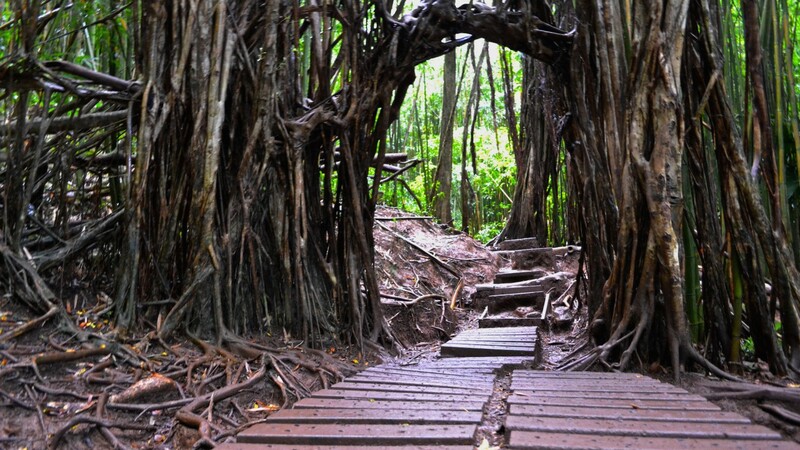 The trail up this lively, green valley follows Manoa stream, and climbs steadily past incredible groves of bamboo. The trail leads to a 150-foot waterfall with a small, shallow pool that feeds the stream. 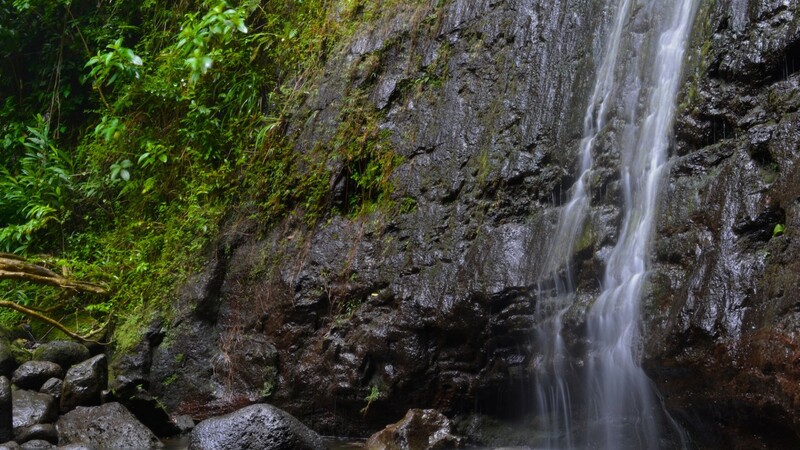 Depending on the amount of rainfall, Manoa Falls experiences varying levels of beauty. 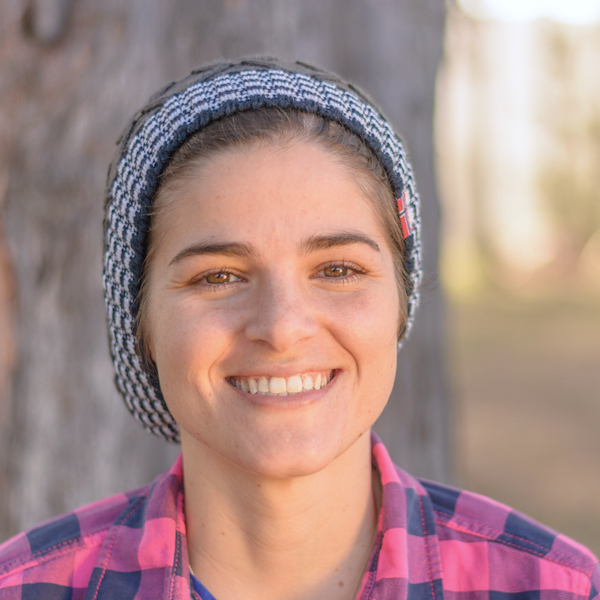 The hike is often a bit muddy, and the boardwalks that have been placed along the trail can be a little slippery as well, so make sure to watch your step. As it is a well-traveled trail, it is best to visit in the early morning in order to avoid any possible crowds. Parking on site is $5 per car, or you can take a chance parking at an additional lot just up the road to the left (we have never experienced a problem with this). 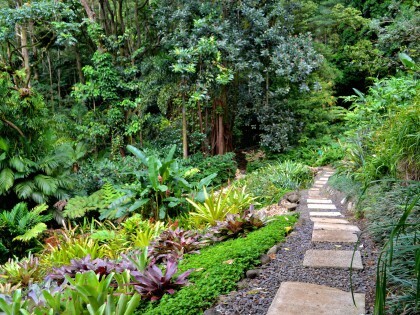 Free parking is also available on the streets in Manoa, and is only a short walk to the trail head. 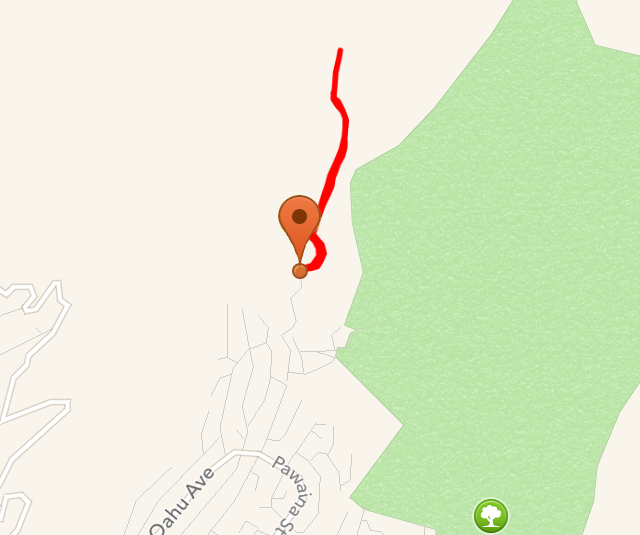 By car: Follow the map below to Manoa Road. At the five-way intersection, stay straight (slightly right) on Manoa Road. Follow this road to the back of Manoa Valley. Parking is available for $5 in the Paradise Park lot, or street parking can be found in the nearby residential area. Walk up the fire lane towards the Lyon Arboretum. 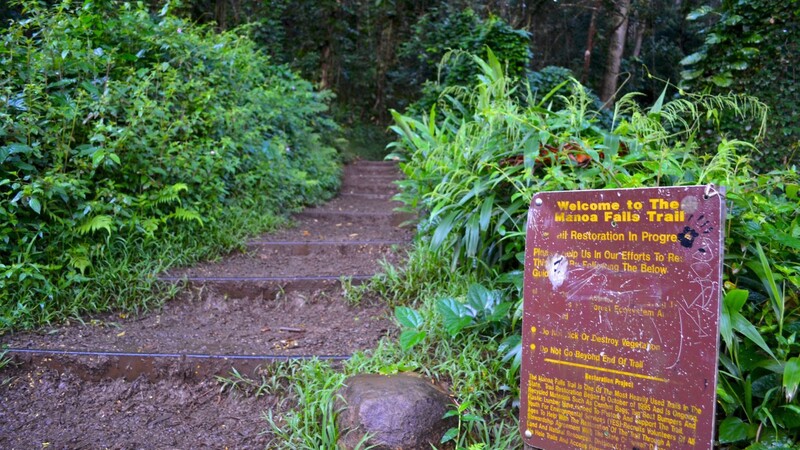 The fence for Manoa Falls will be seen straight ahead. By bus: Take Route 5 – Manoa to the last stop (Manoa Road at Kumuone Street). Walk approximately a 1/2 mile to the trailhead. A pretty popular trail, and for good reason. I love the bamboo forest, and when the waterfall is flowing it is truly gorgeous.